BUY MORE SAVE MORE! 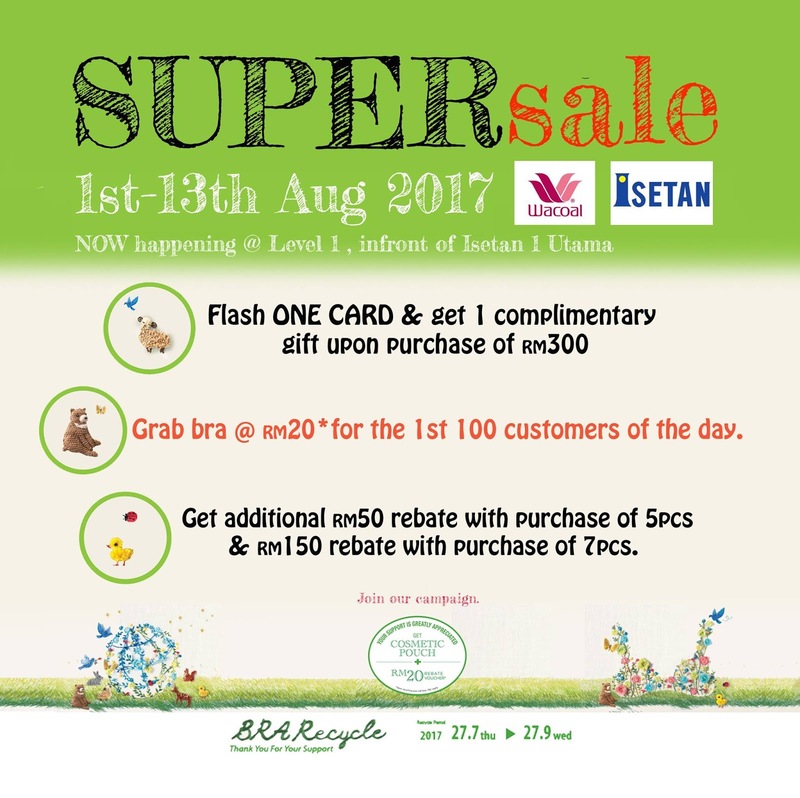 Visit us now at Isetan 1Utama Concourse Area for bra as low as RM60 & get additional rebate up to RM150 when you purchase more. T&C apply. Flash ONE Card & get 1 complimentary gift upon purchase of RM300. 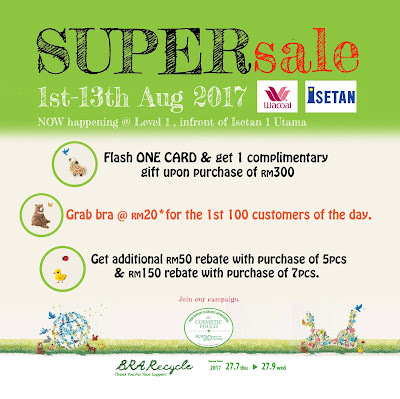 Grab bra @ RM20 for the first 100 customers of the day. Get additional RM50 rebate with purchase of 5 pcs & RM150 rebate with purchase of 7 pcs.